Along with a fully-functioning RecruitBPM portal for your organization, you'll also get access to a client support specialist who can walk you through any questions you have. 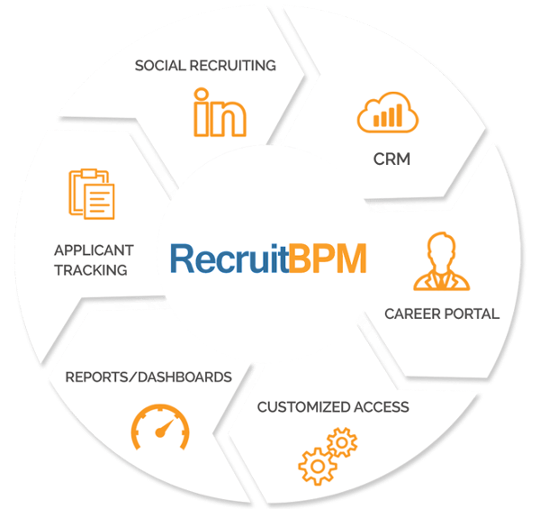 you get a free fully-functional RecruitBPM portal, a one-on-one demo with a member of the RecruitBPM client team, and access to support throughout the entire duration of your trial. features-packed Applicant Tracking System (ATS), comprehensive CRM (all-in-one), integrations with the products you use, Advanced Reporting and Data Analytics, and a Custom Career Portal to post all of your open jobs. This all comes at half the price of the market average and no contract. For any other questions or concerns, contact support@recruitbpm.com or check out our additional features. Call (732) 784-8271 or mail us. Prefer a walk-through from our sales team? Request a demo.